I'm 89 with a lot of time to read. I don't have the eyesight to handle e-books, but I'll read any print book I can get my hands on. Closely mingling two very differing couple's stories of a lifetime of experiences for one couple. The description of Ira's accident and the aftermath was so graphic it had me feeling his breathing difficulty so strongly I wanted to hook up my oxygen machine. Happy endings always leave a satisfied glow. After the loss of her childhood love, Valerie Gilmore runs away from the life she's always known to try to start again. Between her job as a diner waitress and her toxic relationship with the first guy to help her forget her past, Valerie feels more alone than ever before until she meets Russell. He's sweet but strange and Valerie can't help but think he's hiding something. He acts as though he knows her and he seems to be looking past her broken heart straight into her soul. Russell has pushed aside the ancient laws of his angel brethren to find Valerie and stay as close to her as possible. When he’s forced to contemplate sharing the truth with Valerie about what he is after a deadly turn of events cause Valerie to run away once more, his feelings for her and a promise he made long ago help him realize he longs to leave his life as an angel behind for a chance at love. An especially pleasant fantasy. 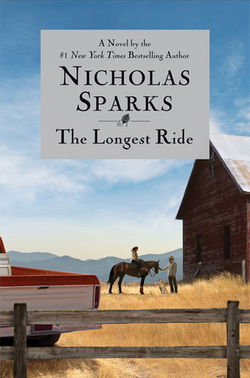 Well defined characters that make the reader care about hope for a happy ending. Valerie's questioning of her faith and belief in God and her valid questions made her return to faith and belief heartwarmingly poignant. Sixteen-year-old Julia Whitmire appeared to have everything: a famous father, a luxurious Manhattan town house, a coveted spot at the elite Casden prep school. When she is found dead in her bathtub, a handwritten suicide note left on her bed, her parents insist that their daughter would never take her own life. But Julia's enviable world was more complicated than it seemed. The pressure to excel at Casden was enormous. Abuse of prescription antidepressants and ADHD medication ran rampant among students; an unlabeled bottle of pills in Julia's purse suggests she had succumbed to the trend. And a search of Julia's computer reveals that in the days leading up to her death she was engaged in a dangerous game of cyberbullying against an unlikely victim. NYPD detective Ellie Hatcher is convinced the case is a suicide, but she knows from personal experience that a loving family can be the last to accept the truth. When the Whitmires use their power to force a criminal investigation, Ellie's resistance causes trouble for her both at work and in her personal life. As she is pressured to pursue a case she doesn't believe in, she is pulled into Julia's inner circle—an eclectic mix of overly precocious teenagers from Manhattan's most privileged families as well as street kids from Greenwich Village. But when the target of Julia's harassment continues to receive death threats, Ellie is forced to acknowledge that Julia may have learned the hard way that some secrets should never be told. 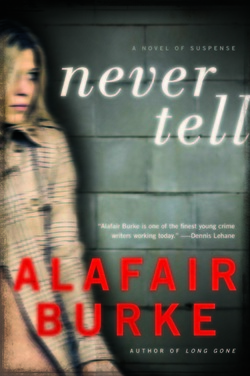 Never Tell is an excellent read. 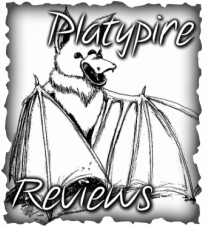 The characterization is so well done that the reader really comes to care for each in turn. While they may be horrified by some of the actions, Alafair Burke shows background reasons for how and why her antagonists acted as they did. She leaves us realizing that nothing is all black or all white and we need to look deeper than the surface for the answers.